The “Big Giveaway” is provided by Weddingbells. All questions regarding the contest rules should be directed to Weddingbells at 111 Queen Street E., Suite 320, Toronto ON M5C 1S2. Rules and regulations are available online at www.weddingbells.ca. 1. Only one entry per person. No purchase necessary. Eligible persons may enter by completing and submitting an original entry form available online at www.weddingbells.ca. Entrants must be engaged in order to be eligible for the contest (proof of engagement will be required if selected as winner). Any attempt or suspected attempt to enter more than once per person, any use of robotic, automatic, programmed or entry methods not authorized by these rules, shall be deemed as tampering and will void all of your entries. To participate, fully complete the Official Entry Form. 2. This contest starts on December 15th, 2014 12:01 AM ET and ends on June 15th, 2015 at 23:59 PM ET. 3. All entries become the property of Weddingbells and none shall be returned. 4. One (1) winner will receive a Mark Zunino for Kleinfeld Hudson’s Bay dress (retail value $9,930 US), a Maison Birks pair of platinum wedding bands (retail value $10,020) and a round-trip airfare for two to the Cayman Islands, seven-night stay at the Caribbean Club, trip for two to Stringray City and dinner for two at Camana bay. *Trip is subject to blackout periods and valid for one year upon winning (retail value $10,000). Sponsor represents and warrants to St. Joseph Media that $30,000 is the fair market value of the Prize. 5. To be eligible, entries must be received on or before 11:59 p.m. (EST) on the contest closing date of June 15th, 2015. Weddingbells is not responsible for any entries which are incomplete, lost, destroyed, delayed, or not transmitted due to technical failure, however caused. 6. The winner will be selected on June 16th, 2015. The selected entrant will be notified by phone or e-mail within 72 hours of the draw. In the event that the selected entrant does not comply with these Contest Rules and Regulations, or cannot be contacted within 72 hours of the draw, an alternate entrant will be selected from the remaining entries. The chances of winning are dependent upon the total number of eligible entries received. The prize must be accepted as awarded, is non-transferable and cannot be redeemed for cash. Weddingbells reserves the right to substitute any portion of the prize with a prize of equal value whatsoever. 7. 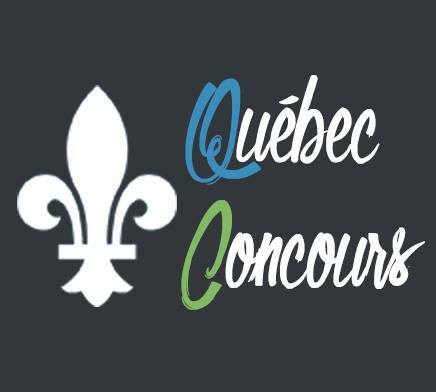 This Contest is open to all residents of Canada, including residents of Quebec, and excluding employees of St. Joseph Media and their respective interactive, advertising and promotional agencies, persons with whom any of the above are domiciled and/or members of their respective immediate families. 8. The entrant selected for a prize will be required to correctly answer a time limited skill testing question before being declared a prize winner. The prize winner must sign the Waiver/Release of liability as a condition to and in advance of receiving the prize in favour of Weddingbells and the other sponsors such that none of them shall be liable for the use or misuse of the Prize (parent or legal guardian will be asked to sign this form on behalf of the winner if the selected winner is under the age of 18). Weddingbells and the other sponsors assume no responsibility for the participation in the contest, or any liability, claims, demands, actions, loss, damage or personal injury that may be sustained by either the winner of the Prize or his/her guest. 9. The Regis Des Alcools monitors and regulates any contests open to Quebec residents. Any litigation respecting the conduct and organization of a publicity contest may be submitted to the Règie des Alcools des Courses et des Jeux for a ruling. Any litigation respecting the awarding of a prize may be submitted to the Règie only for the purpose of helping the parties reach a settlement. Participants in the contest agree to abide by these rules and all decisions of Weddingbells and the prize sponsors. 10. Participation in the contest constitutes permission to Weddingbells and the sponsors and their agencies to use the name, photograph and/or likeness of the winner (and his/her guest) purposes of promotion, advertising, and trade without further compensation. 11. By participating in this contest, all entrants agree to be bound by these Rules and Regulations. The decisions of the contest judges are final. Weddingbells and the sponsors are not responsible for any typographical error in the printing, the offering or the administration of the contest. Weddingbells reserves the right to withdraw or terminate the contest at any time without prior notice or to change the Rules and Regulations. Contact or correspondence will occur only with selected entrants. This contest is subject to all Federal, Provincial and Municipal Laws and regulations.